Westside School sits on a beautiful hillside in West Seattle’s Arbor Heights neighborhood. Surrounded by wildflowers, fir trees and Mt. Rainier in view, our soaring building provides a warm, welcoming and easily accessed space for students from West Seattle, Burien, Normandy Park, Mt. Baker, Beacon Hill and more. We designed our preschool and pre-kindergarten rooms to fit the developmental and education needs of our youngest students. This sunlight splashed space offers ample room for children to explore and grow their imaginations. These rooms allow room for play, center activities and circle time on the community carpet. A hallway with a kaleidoscope of colorful student work welcomes you as you enter the Lower School. Classrooms are arranged in grade level pairs to maximize opportunities for collaboration between both students and teachers. Alcoves between rooms offer spaces for group work and cozy nooks for reading. Large windows assure all classrooms are bathed in natural light. 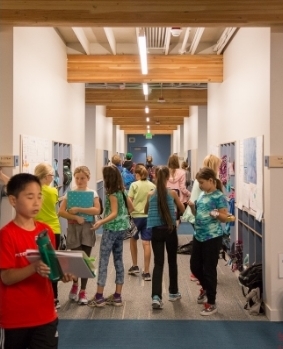 Students enter the Middle School through the commons, a place to gather, socialize and work together. At each grade level you’ll find a room for STEM (science, technology, engineering and math) and a room for Humanities. These large, high-ceiling rooms afford open and airy spaces providing the perfect setting for discussion, deep thinking and hands-on investigations. Large windows afford sunny views of our tree-filled neighborhood and Mt. Rainier to the south. 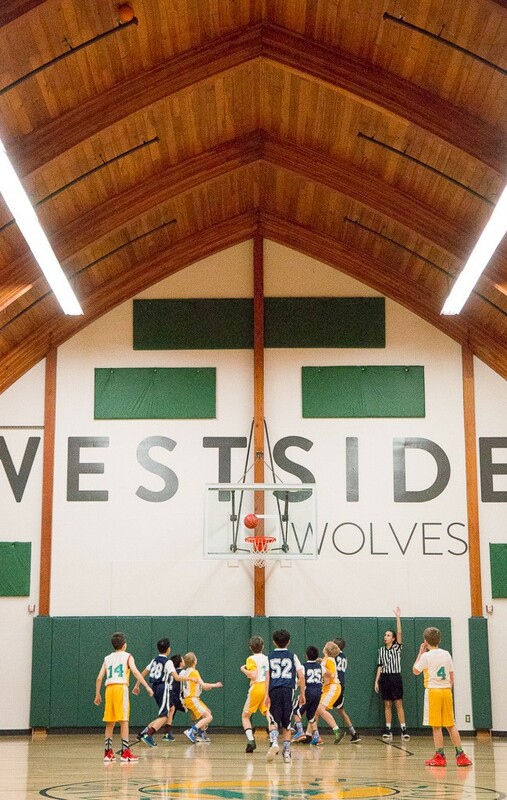 Home to the CYO 2016 eighth grade basketball champions, the Westside School gym is an ideal spot for Middle School competition and physical education classes throughout the grades. Whether for a game of castle ball or volleyball practice, students love the opportunity to get their energy out in this room. Who doesn't love lunch? 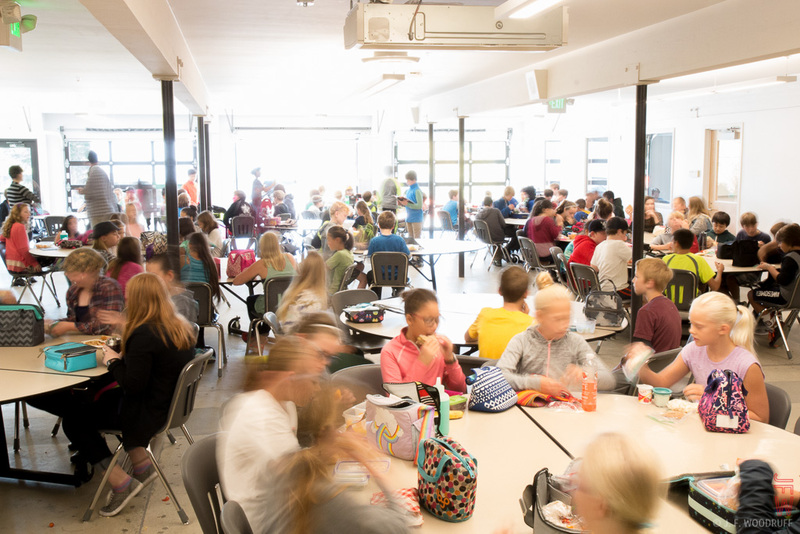 Our spacious lunchroom flows directly to garage doors leading to our outdoor area, including a spectacular climber, hardtop for basketball and four square, and a large grassy space to run, jump or stare at the sky. Further down the hall you’ll find our World Language Center, where students learn Spanish and Mandarin Chinese. Next, step into our theater that features state of the art light and sound and space for 450 people. 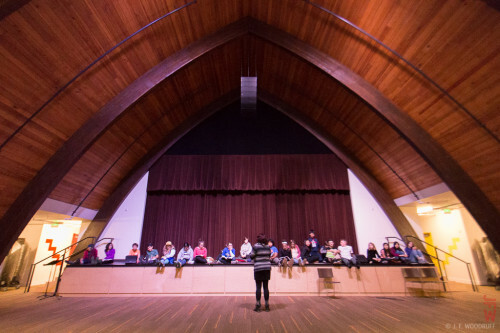 This lovely community space has been witness to pre-kindergarten students performing their first concert, fourth grade students performing Macbeth, and Middle School students singing their way down the yellow brick road. Look backstage, you’ll find our music room, a space perfect for both our youngest singers and advanced Middle School musicians. 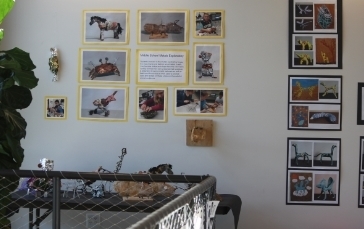 A walk upstairs brings you to our gallery, where student artwork-adorned walls are the setting for student presentations and parent gatherings. 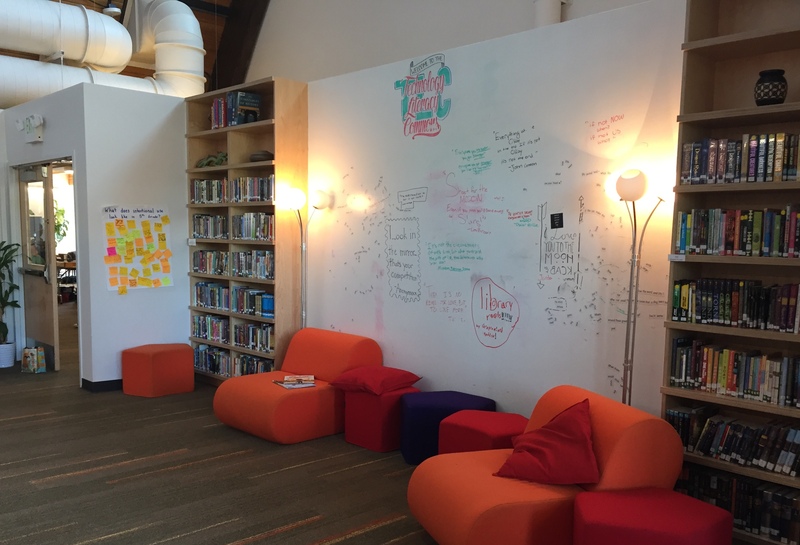 The soaring space that is our Technology and Literacy Commons (TLC) is next, an area for all students to explore, create, work, and research. The TLC houses our diverse library collection, as well as space where students have opportunities to engage in learning through technology such as our Lego Wall, LCD printer, and a variety of devices.